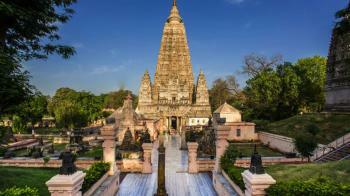 In Bodh Gaya, there is a UNESCO World Heritage Site Called Mahabodhi Temple. It is a Buddhist Temple, marking the location where the Buddha is said to have attained enlightenment. Temple is located in Bodh Gaya of Patna in Bihar state. Images of Vishnu, Shiva, Surya and other Vedic deities are also associated with the site. The site contains a descendant of the Bodhi Tree under which Buddha gained enlightenment. 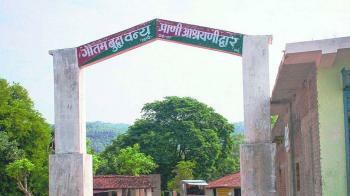 In the Gaya district of Bihar a wildlife sanctuary is located, known as Gautam Buddha Wildlife Sanctuary. The name of the Sanctuary probably comes from the neighboring town of Gaya and its neighbor Bodh Gaya, which are closely related to Buddha and his Enlightenment. The forest of the sanctuary is located on the hill. The sanctuary was established in 1976 covering an area of 259 sq. km. which spreads partly over the rich plains of Ganges and partly over a plateau of the Chotta Nagpur region. The rich and diverse ecology of this area, with several ecosystems co-existing together have created an intense biodiversity in the region. The forest cover density varies and the type of forest, according to location. The birth place of the tenth Guru Sri Guru Gobind Singh, Takht Patna Sahib Gurudwara, also known as Takht Sri Harmandir Ji, is one of the most important Sikh shrines in the world. It was built in remembrance of the birthplace of Guru Gobind Singh Ji, the tenth Guru of the Sikhs on 22 December 1666. It was built by Maharaja Ranjit Singh(1780-1839), the first Maharaja of the Sikh Empire, who also built many other Gurdwara's in the Indian subcontinent. 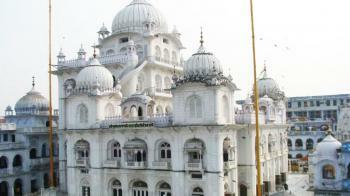 The current shrine of Patna Sahib or Takht Sri Harmandirji Saheb was built in the 1950s.